If you are convicted of providing alcohol to minors in the State of New Jersey, you could be facing significant jail time. Moreover, New Jersey’s Social Host Liability Law can result in serious civil penalties and potentially destroy your future. That’s why you need a knowledgeable criminal defense attorney on your side early in the legal process. The criminal defense team at the Tormey Law Firm knows what it takes to win these kinds of cases because we have successfully defended clients against all kinds of alcohol-related charges in New Jersey, including underage possession or consumption of alcohol and underage DWI. Additionally, we have an office conveniently located in Newark NJ and we regularly appear in courtrooms throughout Essex County, including Belleville, Montclair, and South Orange. Travis J. Tormey, the firm’s founding partner, is dedicated to helping clients avoid the most serious penalties and keep their records clear of a criminal conviction. Our legal team also includes a former New Jersey municipal and county prosecutor who knows how prosecutors strategize when seeking convictions for providing alcohol to minors. If you have been charged with providing alcohol to a juvenile in Essex County or anywhere else in New Jersey, call the Tormey Law Firm today at 201-654-3464. The statute that governs criminal charges for providing alcohol to minors in New Jersey is N.J.S.A. 2C:33-17. The statute classifies these violations as disorderly persons offenses. Notably, there are several circumstances in which the statute does not apply. For example, it is not a violation of the statute if the person providing the alcohol is the parent or guardian of the juvenile who consumes the beverage. Additionally, it is not against the law for a juvenile to consume alcoholic beverages during a religious observance, ceremony, or rite. 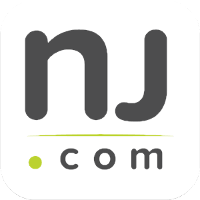 Since providing alcohol to minors is classified as a disorderly persons offense under the New Jersey Criminal Code, a conviction could result in a sentence of up to 6 months in the local county jail, as well as a fine of up to $1,000. Moreover, the offender will have a permanent charge on their criminal record. The Tormey Law Firm is a criminal defense team with lawyers who have successfully defended clients against charges of providing alcohol to minors. We have won these cases in courtrooms throughout the State and we are prepared to do the same for you. Call us today at 201-654-3464 to speak with an experience criminal defense lawyer, or email us to schedule a free consultation at our office in Newark, New Jersey.